The Matrox Indio can turn a PC into a true vision system. 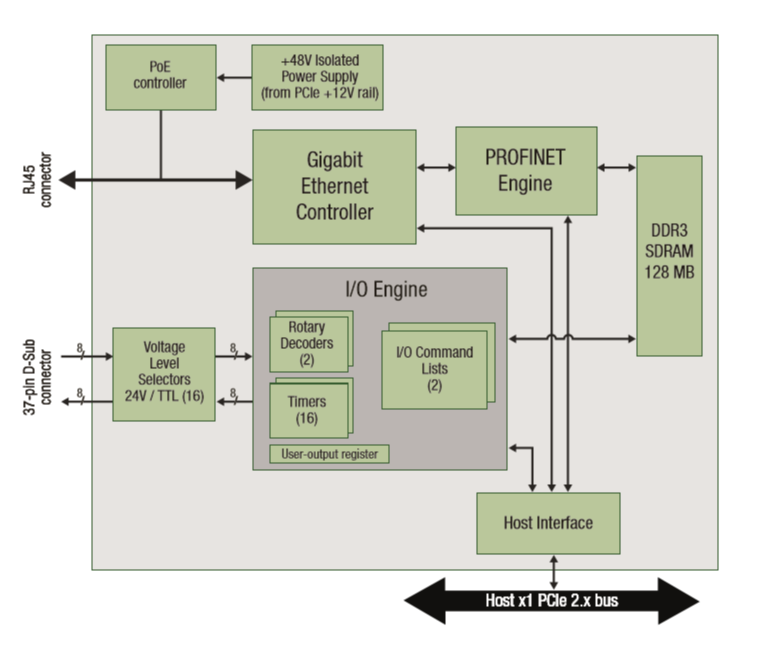 It combines a Gigabit Power-over-Ethernet port with 16 discrete real-time I/O. This card includes both GigE and industrial communication (robot/PLC) run-time licenses for Matrox MIL. Add your own killer software app, and the Indio becomes a cost-effective vision system.